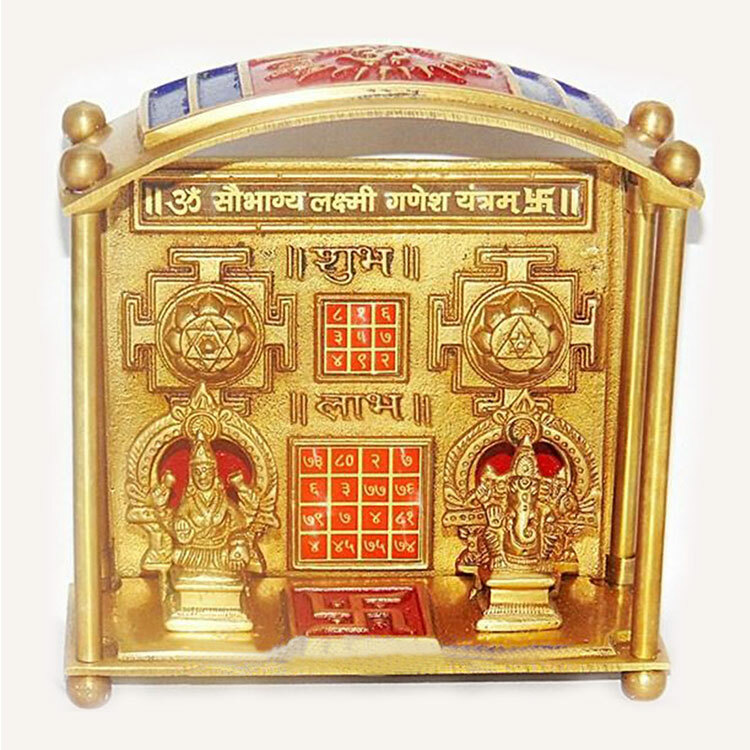 This Laxmi Ganesh Chowki made of brass has idols of Laxmi and Ganesha in it along with Saubhagya Laxmi Ganesh Yantra and Swastik. The Swastik is carved between Laxmi and Ganesha idols whereas the Saubhagya Laxmi Ganesh Yantra is behind these idols. 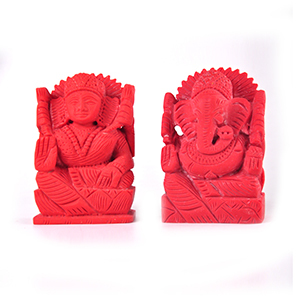 We see in many occasions that before beginning any new or good work they worship or offer prayers to Lord Ganesha. 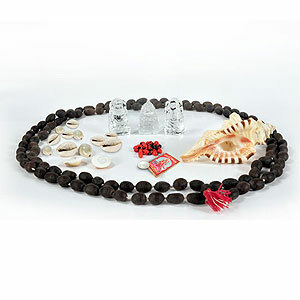 Therefore, before the beginning of new celebrations especially Deepawali Puja it would be auspicious to establish this Chowki at place of worship. Lord Ganesha is the god of intelligence, success and wealth whereas Goddess Laxmi is best among all Goddesses who is worshipped for the attainment of material success. 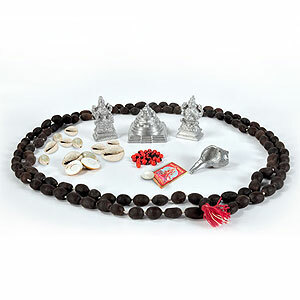 The combined Puja of Laxmi Ganesha definitely brings all round prosperity and peace in the family. 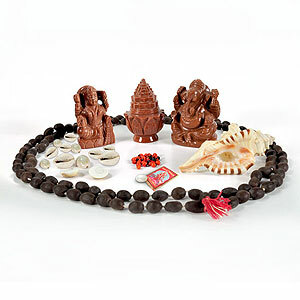 Therefore this Laxmi Ganesh Chowki can be a best Deepawali gift as combined Puja of Laxmi and Ganesh is the special attraction of Deepawali Pujan.